The effort to establish Detroit’s Inner Circle Greenway has just reached an important milestone. Two Metro Detroit bicycling infrastructure project grants, including one for the proposed greenway, have been approved for a total of $1.4 million in funding from the federal Transportation Alternatives Program. The Inner Circle Greenway grant will partially pay for the purchase of an 8.3 mile stretch of the abandoned Conrail railroad track in Detroit. The other will be used to create bike lanes in Warren on Van Dyke between Conner/E. Outer Drive and a half mile past 9 Mile. The money is being distributed through the Michigan Department of Transportation and sub-allocated by the Southeast Michigan Council of Governments, which made the awards. Todd Scott of the Michigan Trails and Greenways Alliance helped the City of Detroit apply for the greenway TAP grant. He was notified of the awards on July 19. 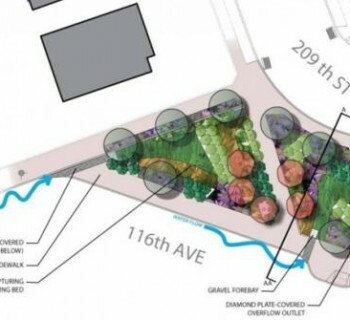 Not getting the TAP grant would have been a serious hitch in the greenway's plans. The next round of funding for the project begins in August, according to Scott. DETROIT—Taking an extended bike trip through Detroit may become a no-brainer in the not-too-distant future. A new trail project is in the works that would link together several of Motown’s most well-known biking and walking paths into a big loop around much of the city. 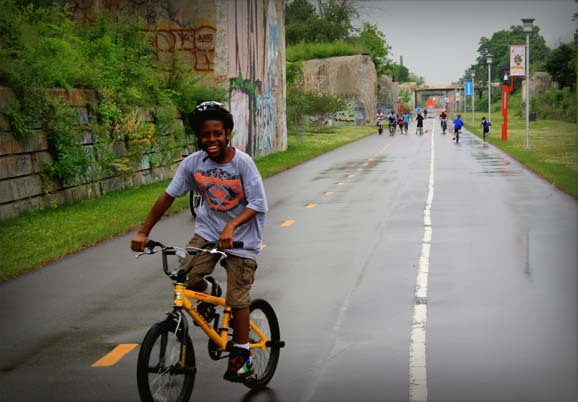 Known as the Detroit Inner Circle Greenway, the route is being put together by the City of Detroit with the assistance of a coalition that includes the Michigan Trails and Greenways Alliance and the Community Foundation for Southeast Michigan. The cities of Dearborn, Hamtramck and Highland Park are also helping handle parts of the greenway that pass through their jurisdictions. While there is no definitive timeline for the completion of the railroad path, a rough version of the greenway could be in place in as early as two or three years time. The 26-mile route would fall roughly between Wyoming and Mt. Elliot to the west and east, and McNichols and the Detroit River to the north and south. It would join together the Dequindre Cut, Detroit RiverWalk and Southwest Detroit greenways with a number of others now on the verge of being built. Plans for the greenway date back at least half a decade, starting as an idea championed by Jim Edwards, a cycling enthusiast who works with Detroit’s Law Department. Recently, however, it’s started to gain some serious traction. According to Scott, project partners are gearing up to fill in a number of gaps along the trail, including an extension of the Dequindre Cut, development along the RiverWalk’s western half, and bike lanes along St. Aubin in Detroit and various parts of Hamtramck. In total, about half the route is expected to be complete by 2014. The big missing link right now is an 8.3-mile section of abandoned railroad track owned by the Conrail corporation. 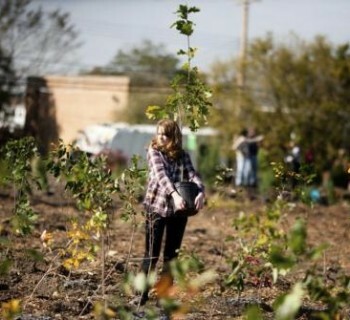 The City of Detroit hopes to purchase the land from the company and convert it to trail. However funding has been a sticking point; Scott estimates it will cost about $4.5 million to buy the railroad expanse from Conrail. This spring, the city applied for two grants to help them with the acquisition, a Michigan Natural Resources Trust Fund grant that would cover about 80 percent of its cost and an MDOT Transportation Alternatives Program grant, which would handle the rest. If the railroad is purchased, Todd says several bridges along the route would need to be renovated and the track would probably be covered in asphalt to make it traversable. Plans for lighting and other design specifics are still being determined.